Your Next Read is a site that provides you with a web of book recommendations based on the authors and books you already like. Here's how it works; type in the title of a book you like or author you like and Your Next Read will provide you with a web of books that might also enjoy. Click on any of the books appearing the web to create another new web. 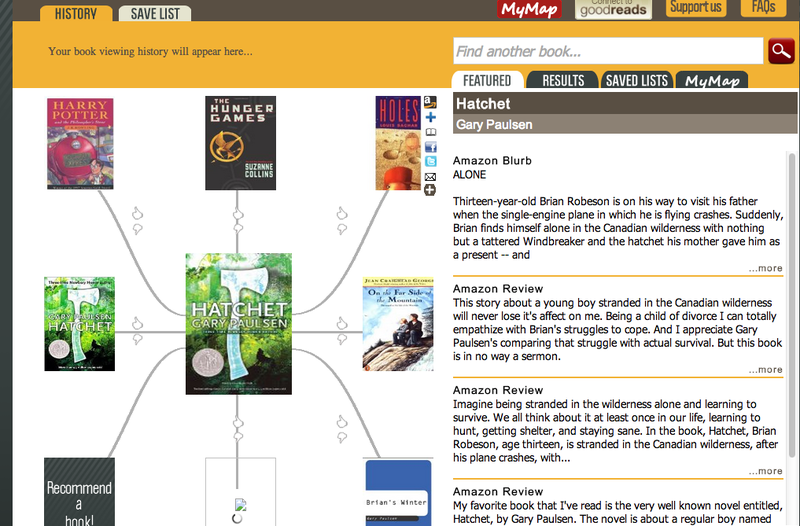 Below you'll see the web of recommendations that appeared when I typed in Gary Paulsen's Hatchet. Your Next Read could be a great resource for teachers that are trying to locate fiction works that their students might enjoy. Rather than having to rely on your own list of books, you can have students name books they've enjoyed in the past and instantly find some other appealing titles. Having trouble viewing the slides? Click here. 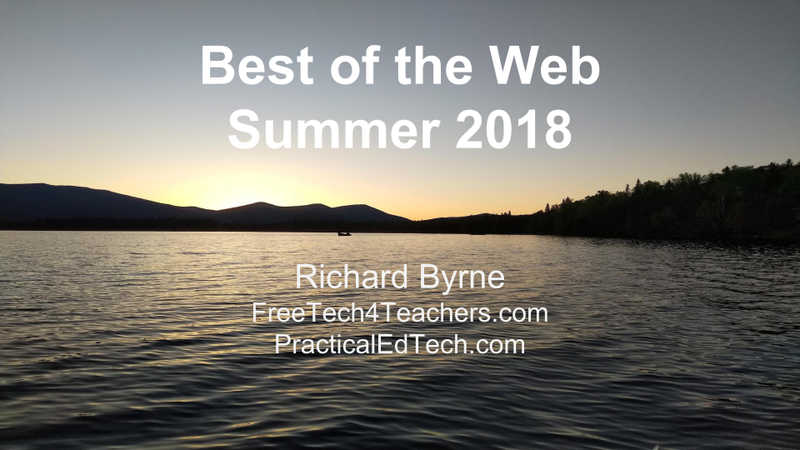 If you would like to have me visit your school this year, please send me an email at richardbyrne (at) freetech4teachers.com or click here for more information.